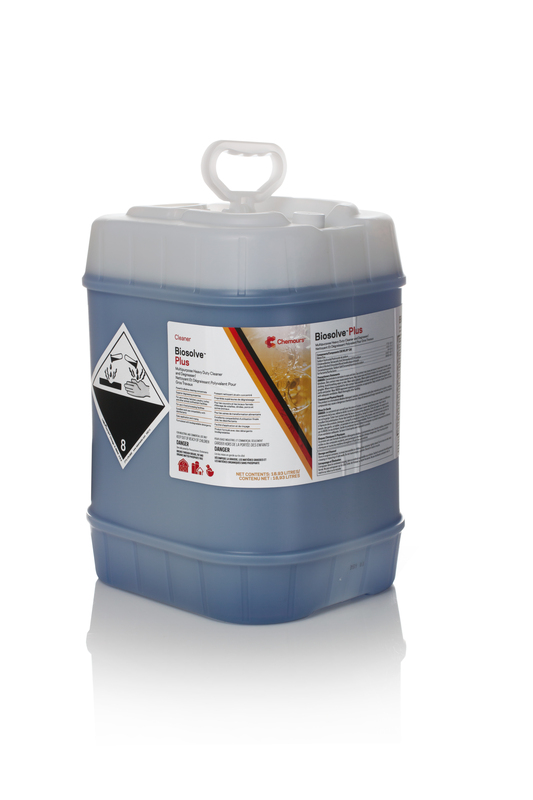 Biosolve® Plus is an alkaline foaming cleaner and degreaser for hatcheries and livestock premises that rapidly removes protein, fat and other organic soils from surfaces. LOW OR HIGH PRESSURE SPRAYING: Prepare a stock solution of Biosolve® Plus 2-24 ml/liter, or calibrate your dosing equipment to achieve this dilution. Spray the solution onto all surfaces at an application rate of 500 ml/m2. Allow contact time of 5-10 minutes before thoroughly rinsing all surfaces with clean water at high pressure.